Andacollo, the gold rush - Andacollo, Patagonia, Argentina. At the foot of the mountain chain of the Andean prerange, called Cordillera del Viento, are formed a majestic valleys, dotted with rivers and streams. The vegetation are poplars and some other shrubs, but the views that keep are worth seeing. Entrance to the town of Andacollo. Photo courtesy of Daniel Quintana. 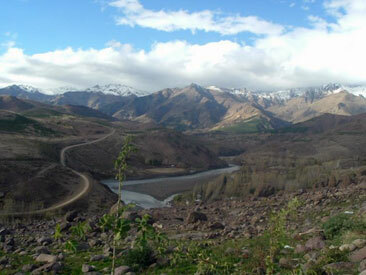 In these valleys is Andacollo, located northwest of the province of Neuquén at 1113 m.a.s.l., located on the left bank of Neuquén river. You can reach the city by Provincial Route 43 from Chos Malal or Provincial Routes 6 and 38 from the south, across the Reñi Leuvú River. It is not a big resort, but it is certainly a place where you can breathe what is the true essence of the North of Neuquén, dedicated to livestock and agriculture. Andacollo, with over 4000 inhabitants, is the head of the department Minas and in the past had an outstanding mining, but the crisis currently affected the area and now it is dedicated to cattle ranching, farming and forestry. San Martín square, a meeting place and promenade for locals and tourists. Andacollo, formerly inhabited by the Mapuche communities, was baptized at first with the name "Cañada del Durazno". Then it was set in place a group of Chilean pioneers from 1882 in search of precious gold, who were called pirquineros (mine men). They came from the Chilean town of Andacollo, that's why the name of the town was changed in honor to the first settlers. The origin of the name is Quechua and Aymara languages, being anda/anta: bright, gold, and collo/coya: from high, altitude; resulting in the interpretation of Andacollo as "that what shines on high" or "the gold rush". The city is the starting point for various excursions or tours that will help you know, observe and learn about the history, geography, flora and fauna of the region. The amphitheater hosts many cultural and sports activities. In addition the town has several tourist attractions like the Craft and Farmer Fair, a place for the sale of handicrafts and home products by small producers of the area, located on Calle Jaime Nevares. 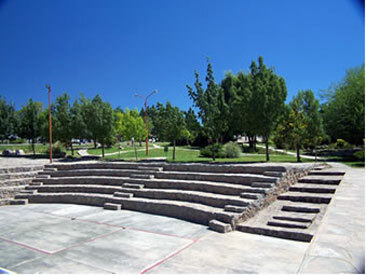 The Cinema that operates in the municipal Cultural Hall and the Amphitheatre on the street Fortín de los Guanacos, a suitable place to have a good time and relaxing with friends and/or family, because of the architecture of the place that has steps made with material of the area, that are used as stands. There are also conducted sports and recreational activities there. Veranador Festival 1Since 1994 it takes place in Andacollo the Veranador Festival, a feast with folk performances, gaucho parade, rodeo and native skills. Rock Art in Neuquén, Colo Michi Có Near the city of Andacollo it is Colo Michi Có, one of the sites of major archaeological wealth of America. 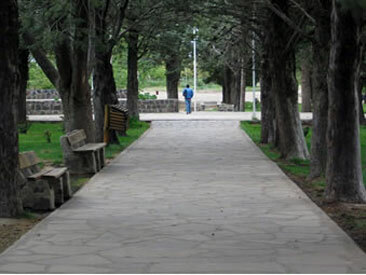 Touring Andacollo city Andacollo City proposes a series of tours that take you to explore every corner of the city and its surroundings, where you will learn its geography, flora, fauna and history. Andacollo: ideal starting point Andacollo offers several tours to enjoy its natural attractions, among them are included the mining, forestry, fishing, history and culture, spas, climbing, lakes, veranadas and festivals.